Amod Chopra likes to joke that the arc of his family-owned Viks Chaat cafe and grocery in Berkeley is best symbolized by an old TV set. 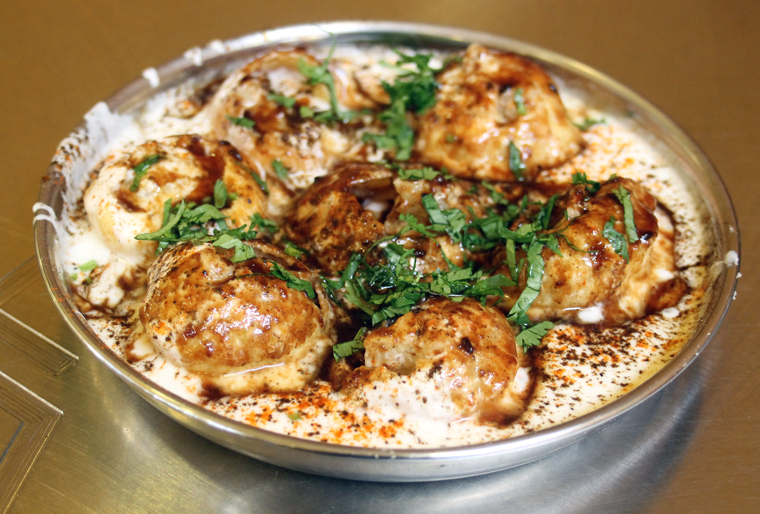 When the original 200-square-foot cafe opened in 1989 at a time when few non-Asian-Indian-Americans were familiar with the tradition of chaat or snacks, his father, for whom the business is named, put a TV in the dining room. In the beginning, when few customers came through the doors, Chopra remembers watching shows on that TV to while away the hours of boredom. 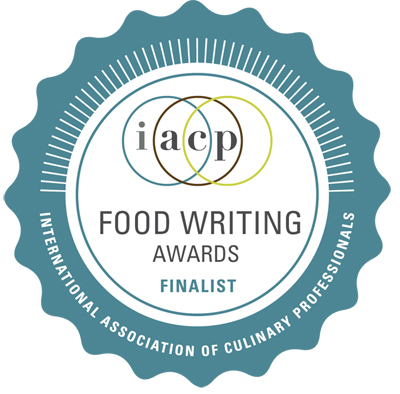 But then something happened as word began to spread of the vibrant, chili-inflected, palate-popping puffs, crepes, breads and chutneys that could be enjoyed at bargain prices. That was then. 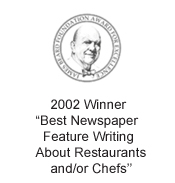 This is now — when a startling 1,000 people or so dine here on a typical Saturday or Sunday. 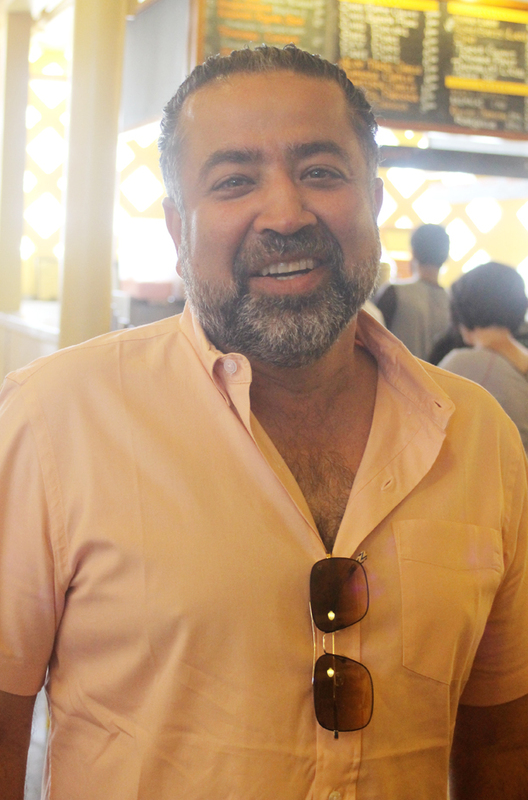 Owner Amod Chopra, whose father started the business. Some have been regulars since the beginning. 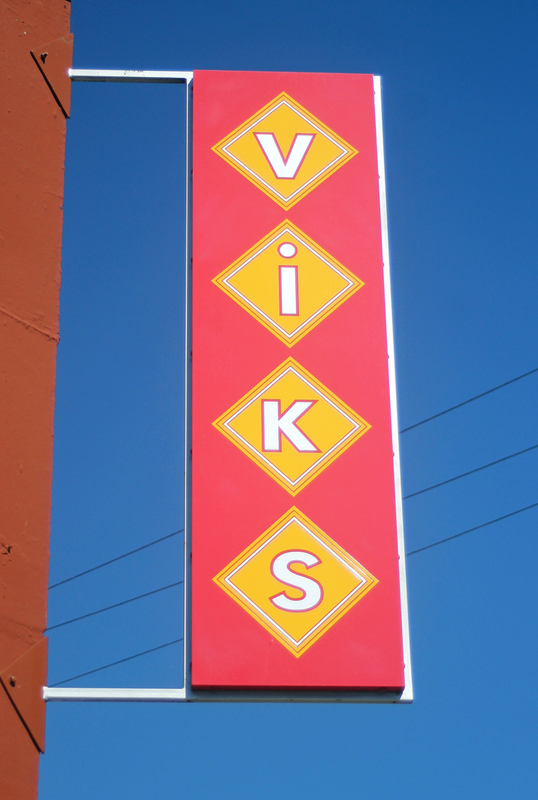 It’s a good bet that for many, Viks was their first taste of Indian food beyond the requisite curries. 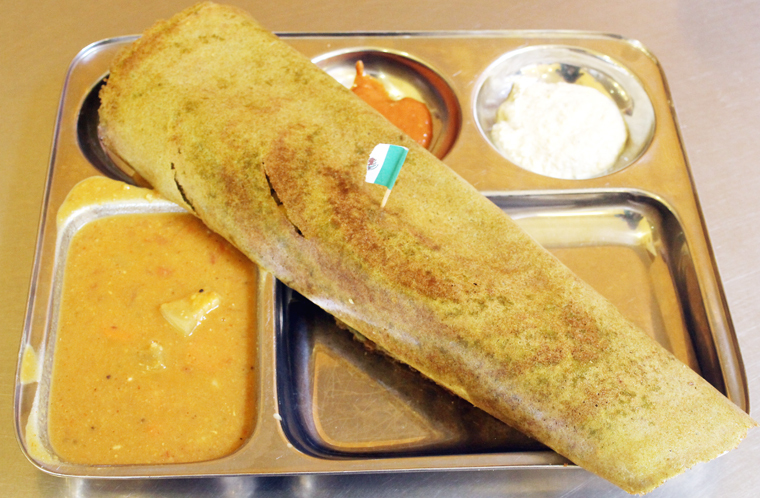 What started out as a wholesale grocery still supplies the majority of Indian restaurants in the Bay Area today, too. All it takes is one visit to the dining room to see how people of all walks of life, all cultures and all ages have fallen for the food here. I met up with Chopra recently to catch up over lunch. We had actually met many years ago when I wrote a story for the San Jose Mercury News about Sula Vineyards, the ground-breaking winery established in India by Stanford grad and former Oracle employee Rajeev Samant. Chopra took an interest at the start, and became the California distributor for the wines, the first of any real distinction made in India. 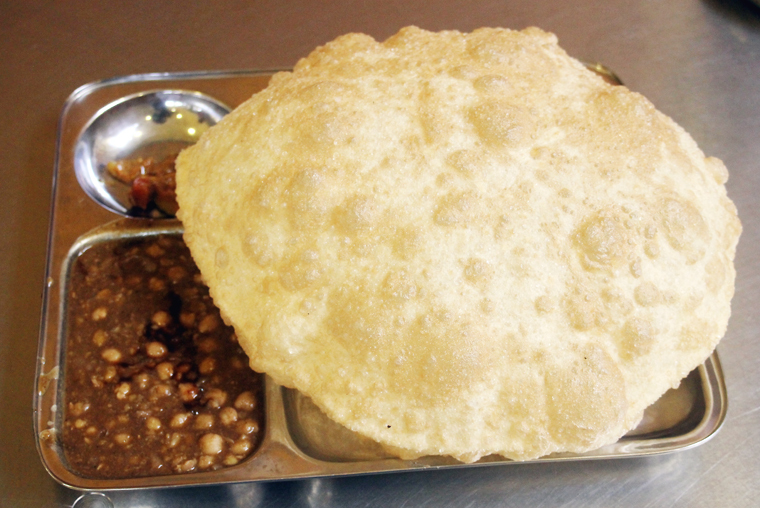 Puri with yogurt and tamarind. 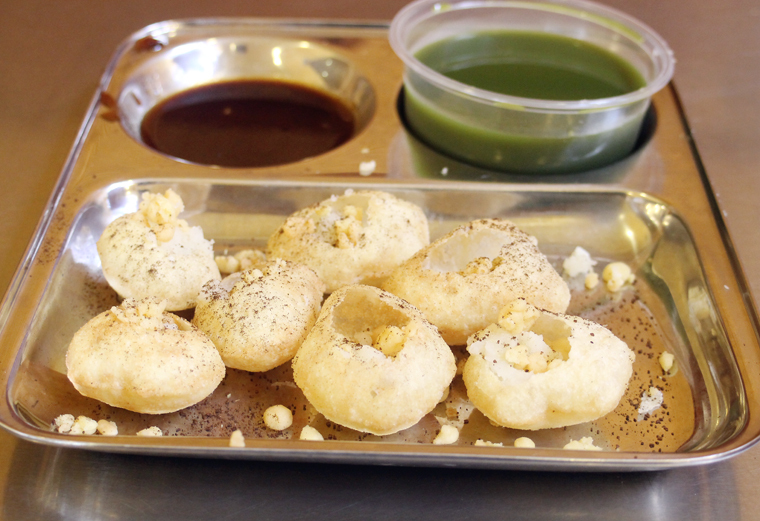 Pani puri, the perfect finger-food. 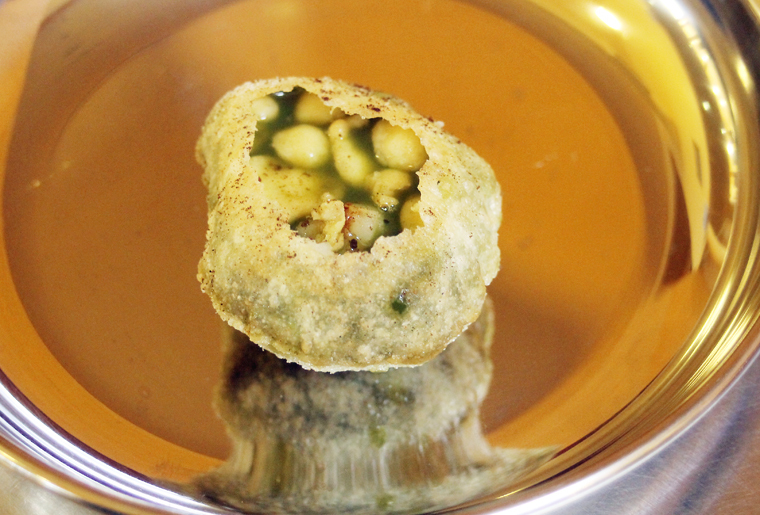 All filled with mint-chili water and ready to be enjoyed in one bite. Over dahi batata puri, fried puffs smothered in tangy yogurt and tamarind chutney, and potato-garbanzo-stuffed pani puri, in which one pours in joltingly delicious chili-mint water before popping whole into your mouth, he talked about how Viks started and has grown into a beloved Berkeley institution. In India, Chopra’s father worked in management for a pharmaceutical company. But when he emigrated to California, the entrepreneurial bug bit. Chopra thinks his father had an ulterior motive for starting the chaat cafe. “I used to joke with my father that he started this because he missed the street foods of India,” Chopra says. Things like fried filled-turnovers known as samosas, lentil dumplings called pakori, savory tomato-onion uttapam pancakes, and cholle bhatura (which everyone just calls the “big puffy bread” because that’s exactly what it is). It’s big and puffy alright. In the early days, he remembers his father waking him up at 6 a.m. to help grind spices and cook food alongside his mom, grandma and sister. From the start, Viks has eschewed cream and exercised restraint with the ghee. Although he worked in Silicon Valley for a couple years after graduating from U.C. Berkeley with an economics degree, Chopra took over the business when his father fell ill, and later passed away. 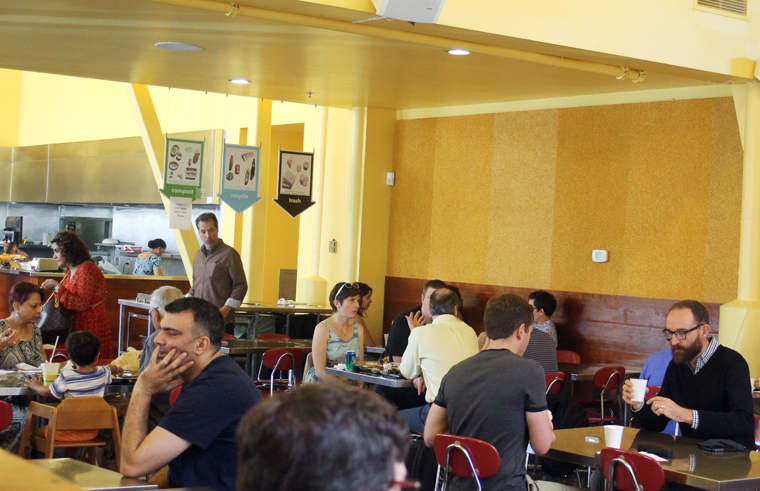 Although the cafe has expanded over the years, the system of ordering has not. To the uninitiated, it can seem rather chaotic. You order food at the counter, then find a table. When your name is called, you go pick up your food. 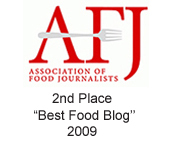 But because the kitchen is divided into distinct sections — chaat, pakoora, dosa, etc. — with each responsible for a specific part of your order, you will usually end up fetching dishes several times as you eat. 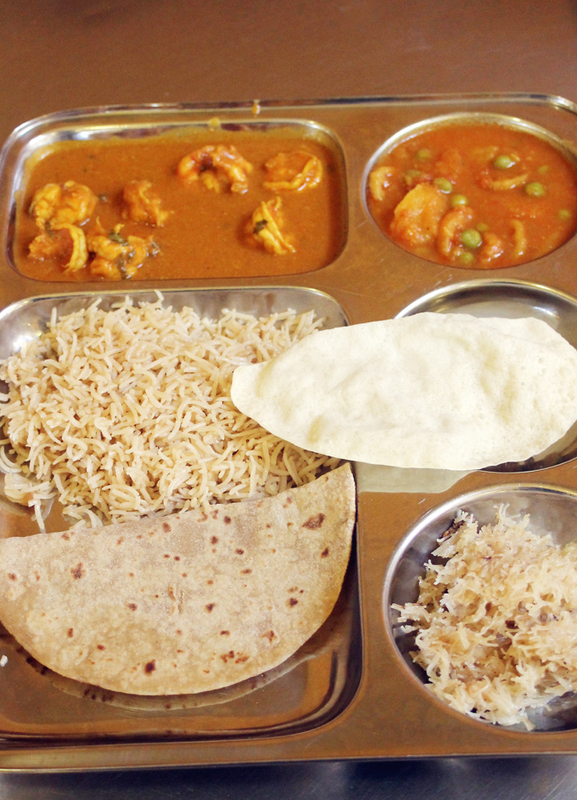 A lunch special of prawn curry. 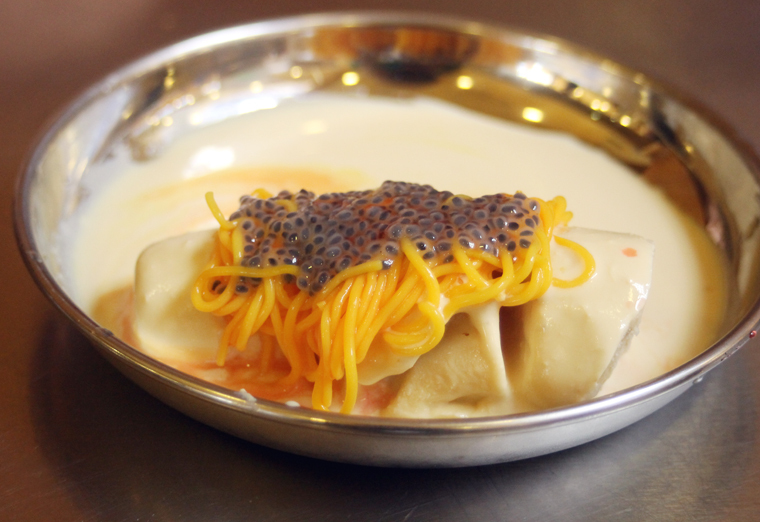 Dessert of pistachio kulfi with saffron noodles. In the weeks to come, the small attached grocery store that sells all manner of dried spices, fresh produce and frozen specialty fruits such as Indian chikoo (sweet and malty tasting), will expand to three times its size. The extra space will allow Chopra to import more products from India and to showcase them in more eye-catching displays. Just don’t expect a TV to be added anytime soon, though.